Just below Adams Falls on the west side of Rocky Mountain National Park is this imposing rocky chasm. Water from the East Inlet rushes over Adams Falls and then is funneled through this chute. 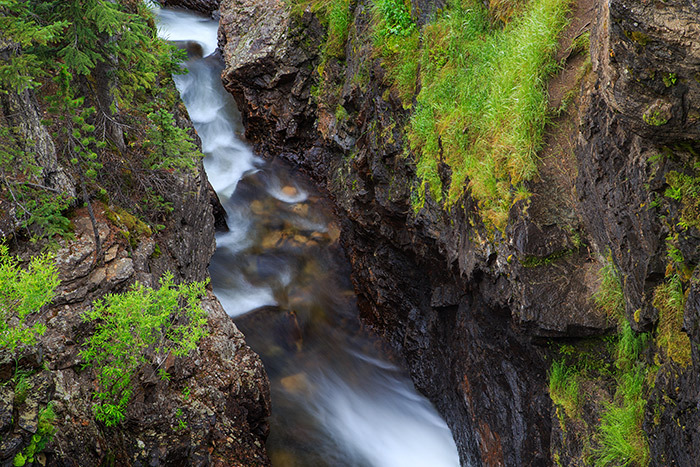 The mist from the rushing water coats the rocks and makes the flora turn a vibrant green adding color to the dark granite walls. Photo © copyright by Thomas Mangan.